SAFA held an Extraordinary Congress on Sunday, 29 March 2015, to consider constitutional changes agreed with Government and SASCOC; mandated by FIFA; and others mandated by our Members in order to update our Statutes to reflect the current reality of our organisation. At this Extraordinary Congress it was decided that schools football must be placed directly under the control of the Association and that the Association would, in partnership with Government, align with the National Sports & Recreation Plan and the Minister’s Schools Sports Programme. Congress was motivated by the fact that a relatively small number of schools around the country had football programmes and that it was important to establish programmes in all of the country’s 27,000 schools, including the former Model C schools where little or no football programmes exist. SAFA Members also felt that this would increase the talent pool to 60,000 youth teams for boys and girls and present a greater chance of unearthing football talent in the country. It was also imperative for the Association to establish football leagues in the schools system and move away from the knockout competition system that was so prevalent throughout the system. Using the league format will expose more players to consistent football competition and raise the standard tremendously. 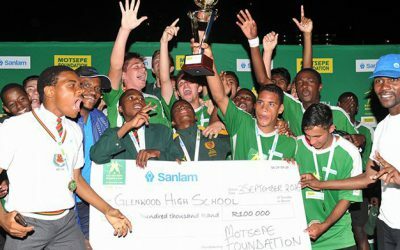 Only SAFA has the reach to implement a league system uniformly throughout the country. 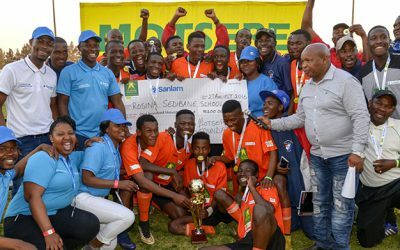 The practical implication of the 29 March 2015 Extraordinary Congress decision is that the South African Schools Football Association (SASFA) no longer carries a mandate from the South African Football Association to organise schools football under the Association’s authority.